Try something different this summer. Create an Indian inspired Salad to go with all your grilled meats. 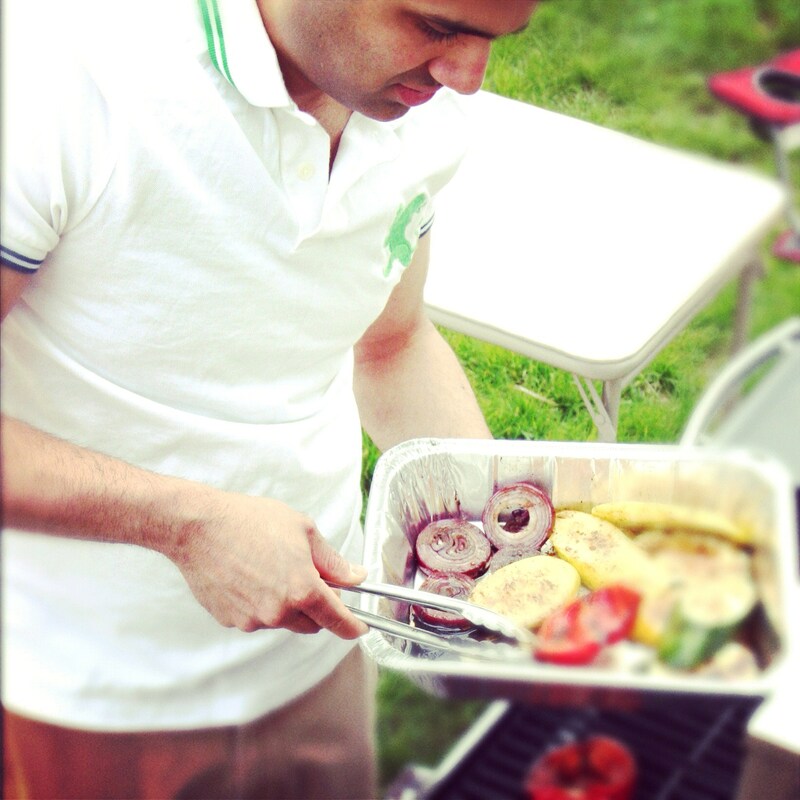 Eat Healthy and Happy Grilling! To make dressing: In a food processor or a blender, combine avocado, mint, green chilli, cilantro, , lemon juice, salt, and pepper and process until very smooth, scraping down sides. With the motor running, add olive oil. Add enough cold water to make dressing pourable, about 3/4 cup. Refrigerate until ready to serve. To make salad: In a small bowl, toss onion with juice from 1 lemon and 1 Tbsp. olive oil. Set aside. Preheat grill to medium heat. In a medium bowl, toss avocado halves , roasted red pepper and paneer cheese with 2 Tbsp. olive oil, juice of 1 lemon, and salt and pepper to taste. Grill cut side down until marks appear, about 1 minute. 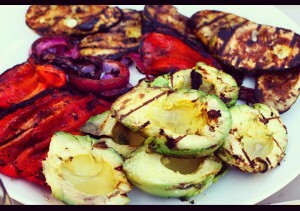 Remove from grill and set aside. Brush cut side of romaine halves with 1 Tbsp. olive oil. Grill cut side down until lettuce is slightly wilted and marks appear, 1 to 2 minutes. Arrange the grilled avocados, paneer cheese, red pepper, grilled romaine, tomatoes, and marinated onions on a platter. Drizzle on some of the dressing, add salt and pepper to taste, and sprinkle with Parmesan. Serve, passing extra dressing at the table.